Špeciálne vyvinutá pneumatika pre klasické športové motocykle. Vynikajúca priľnavosť na suchej aj mokrej vozovke. Perfect tires make you and your bike even better. Thanks to modern silica compound technology, the Duo TKV 11 and TKV 12 provide maximum grip in any kind of weather. 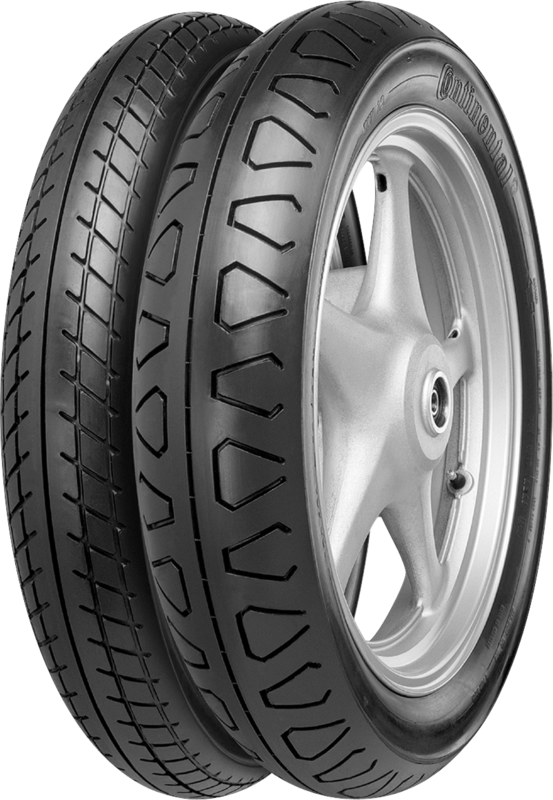 The corresponding tread pattern and carcass design ensures that the TKV does not exhibit any handling disadvantages and sufficiently hugs the asphalt even in extreme banking maneuvers. Perfectly adapted to the superbikes of the 80s, a set of TKV 11/12 is the best-priced tuning kit for your classic sports bike. They also boast long service life. Sortiment pneumatík s osvedčeným klasickým pozdĺžnym behúňom.